I’m a sworn fan of shabby chic decor, so I’ve always wanted to make this the main decorating theme for the fall season …. or any season. Vintage chic really can work for any reason, in any season! Obviously, there’s no way to decorate for fall without at least one pumpkin in the picture, right? I think shabby chic pumpkin decorations look great and many of them can be kept for the entire season, Halloween and Thanksgiving included. 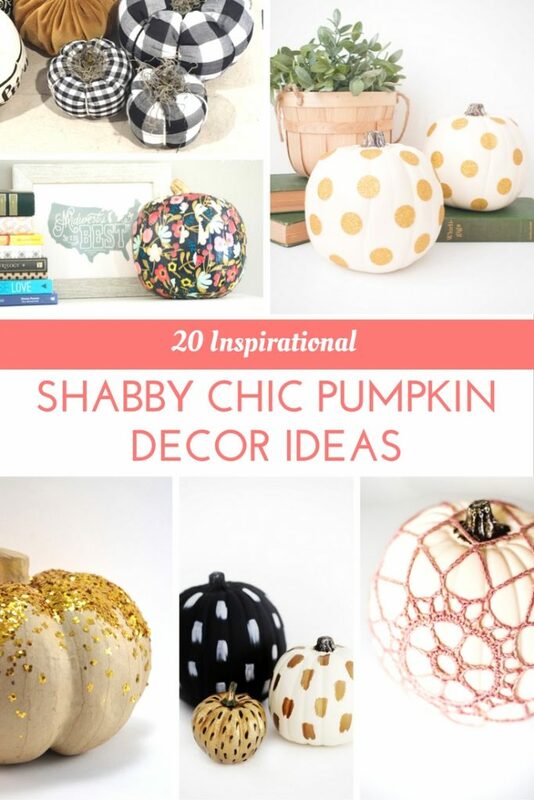 I’m sharing some of my favorite DIY shabby chic pumpkin decor ideas today, so take a look at them if you need some inspiration for your fall home decor! Which one is your favorite? For more Halloween fun, click over here next 🙂 Happy Fall, y’all!